Early in our tour I started to organize a weekly open mike night. It ended up taking on a life of its own, mainly due to the efforts of our battalion chaplain's assistant. 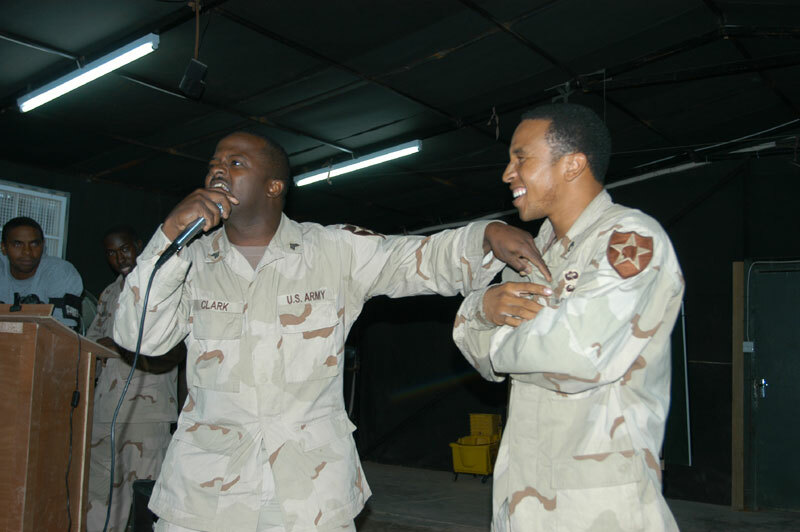 People sang, read poetry and otherwise performed for the audience--these two Soldiers are trying their hand at freestyle rapping.